Mixed choir Davorin Jenko was formed in January 2001. Its first performance was at Martinovanje /celebration of St. Martin's Day/ the same year, and its major public performance was delivered in February 2002 in the Culture Hall of Banski dvor, at the celebration of the Prešeren Day. The choir's repertoire is mainly composed of Slovenian folk and artistic songs. As years passed by, the number of performers increased, thus improving the choir's vocal potential. They had many performances, not only in Bosnia and Herzegovina, but also in many towns in Slovenia. Some songs of the choir are accompanied by instrumental group Trio Fantastico, composed of our young members, students of the Music High School Vlado Milošević from Banja Luka. The choir also has its young generation - children's choir Mladi Jenkovci, whose members enrich programmes by performing children songs and Slovenian pop songs. Headed by the conductor, professor Aleksandar Jeremić, our choir nowadays, together with the children's choir has 40 members. They take part at gathering of choirs in Šentvid pri Stični every year, and with their performances they enrich all shows organised by the Association Triglav. 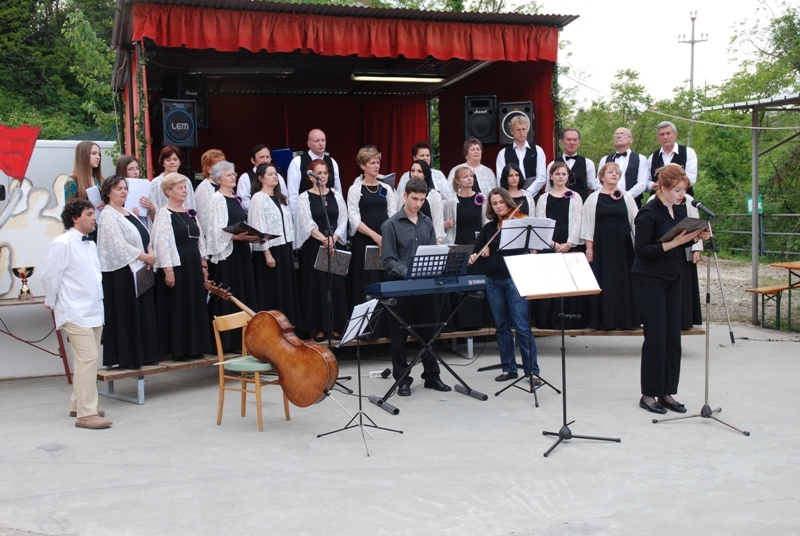 The choir had independent concerts, including the Evening of Slovenian Music in Banski dvor in Banja Luka, and performed at various events and celebrations: Martinovanje, Kurentovanje /carnival/, exhibition openings, the Prešeren Day. Mixed choir Davorin Jenko, together with the Supply Teaching Lessons of the Slovenian Language and Culture, represent pillars of our Association and take great credits for the success and good spirits at all events that we organise. In addition to successful performances in Bosnia and Herzegovina and Slovenia, our choir is an excellent host to choirs from Slovenia and other Slovenian choirs functioning in Bosnia and Herzegovina.